Director Chen Kaige adopts a direct and less personal approach to China’s troubled modern history as he charts the similarly troubled relationship, from 1925 to 1977, of two Peking Opera actors. 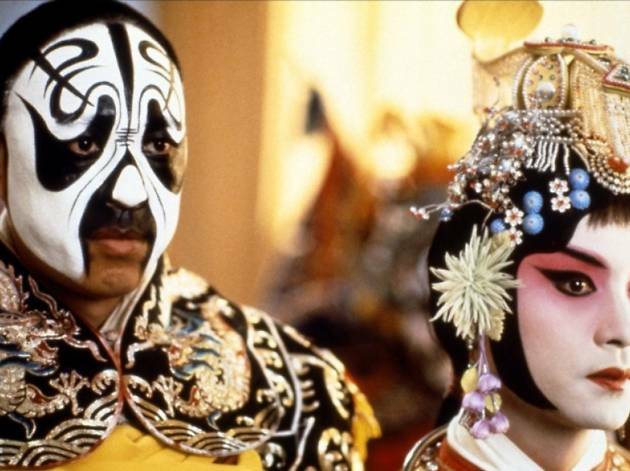 Their boyhood friendship arises in protective reaction to the disciplines of the opera academy; but by the time they’ve become stars, Dieyi (Leslie Cheung) has fallen for his friend Xiaolou (Zhang Fengyi), mirroring the on-stage devotion of the concubine he plays for Xiaolou’s King of Chu. Inevitably, he is distraught when Xiaolou marries a prostitute, Juxian (Gong Li), who is more than a match for Dieyi’s jealous hysteria. However, the trio are also caught up in bigger events so that over the decades their mutual suspicion, deceits, divided loyalties, betrayals and acts of desperate support for one another chime with the mood of China itself. 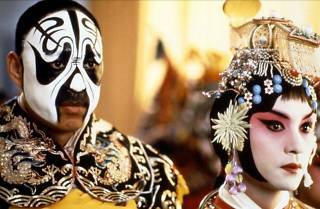 Appropriately operatic, Chen’s visually spectacular epic is sumptuous in every respect. Intelligent, enthralling, rhapsodic.